School Meals: An Insiders’ Look | Winners Drink Milk! When you want the facts you reach out to an experienced professional right? 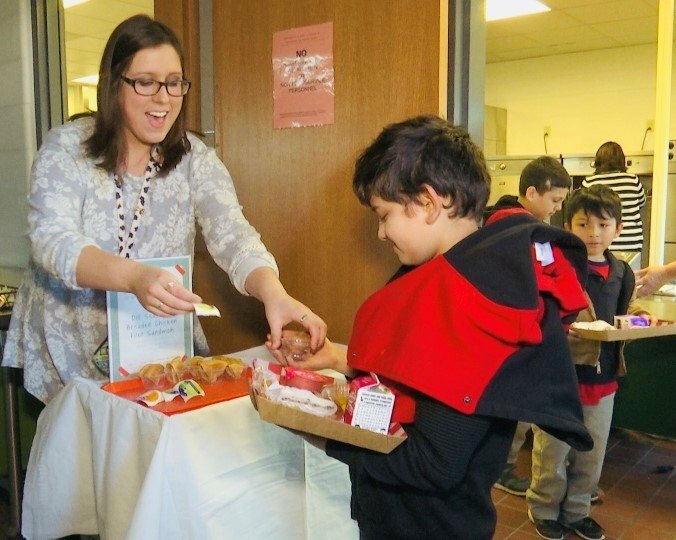 To get an insider’s look on school meals, we reached out to our friend and school meals expert, Amanda Kruse, Registered Dietitian and Operations Manager for Indianapolis Public Schools Foodservice. 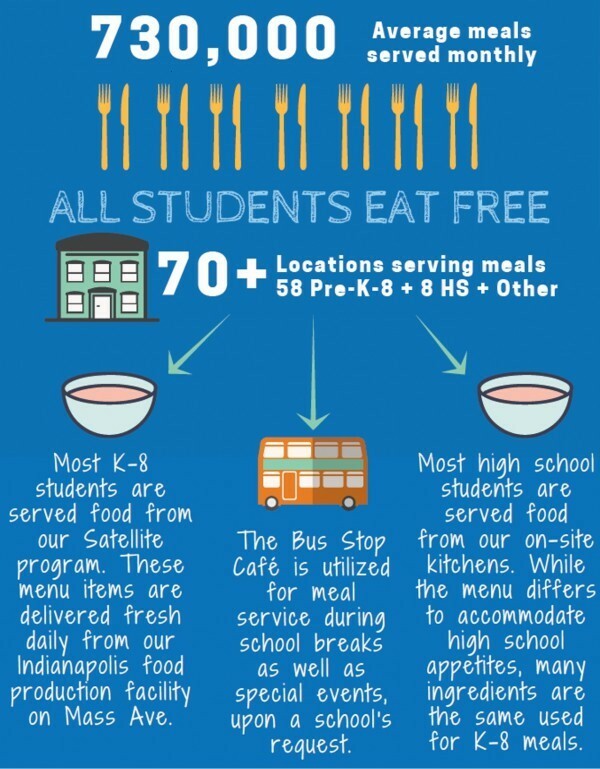 Hi, I’m Amanda, a Registered Dietitian for Indianapolis Public Schools (IPS) FoodService and I’m here to give you the real scoop on school meals. In Indianapolis and in many cities across the U.S., school meals are the MAIN SOURCE of nutrition for most students. With 70+ sites, we provide balanced, kid-friendly meals to 30,000 students each day! If you’ve listened to the news lately you’ve likely heard something about the positive changes we’ve been making – new menu items, vegetable bars, more variety and choices (like the kid-fave Power Packs – especially our yogurt, sunflower seeds, blueberry lemon crackers and whole grain cheese crackers combination), the addition of strawberry milk… the list goes on. We’ve also introduced our #TryItTour student food testing and Food Recovery Programs to decrease food waste. We’re Indiana’s largest school district, serving 730,000 MEALS each month! All students EAT FOR FREE thanks to the USDA’s Community Eligibility Provision. We’re almost always serving meals (Seriously; We serve 51 weeks a year!)! …Wait, how many weeks?! Well, we’re serving meals even when school is out! 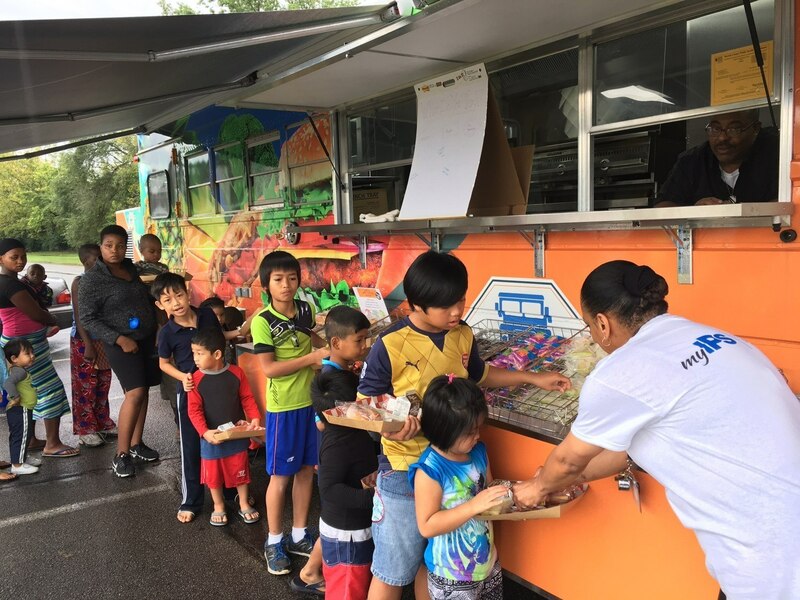 The USDA’s Seamless Summer Option allows for us feed ANY child 18 years of age and under at schools, community centers, libraries, and other locations across Indianapolis during every school break. This means you can have your kiddos join us for lunch, too! We have THREE different avenues of service; the largest of which is our Satellite program. Here’s a behind-the-scenes look at our food production facility and programs. Our Bus Stop Café is a food bus schools can reserve for special events & celebrations. We also use it during all school breaks, to help us reach more students. It’s not your average food truck, with special ovens and refrigerators to help prepare and hold ~600 meals! At BREAKFAST, students choose from 3 entrees, fresh or dried fruit, 2 types of juice, and 3 types of milk. At LUNCH, students choose from 3-5 entrees, 5 fruit and vegetable sides, 3 types of milk. Our Vegetable Bar is served daily, offering unlimited vegetables to all students. Additional options are available for students in grades 9-12. We offer a Fresh Fruit & Vegetable Program snack to every school each day and cover the costs for non-grant funded schools so that everyone has equal access. We’re proud of our program and look forward to sharing even more in 2018; but why wait to celebrate when March is National Nutrition Month and National School Breakfast Week is March 5-9 (especially since one of my favorite meals of the day is BREAKFAST!)?! 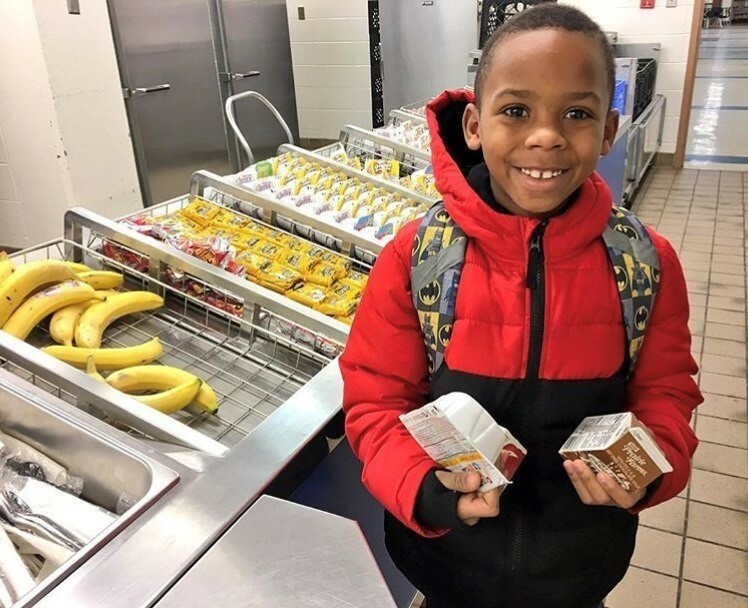 As a school foodservice Dietitian, fueling up our kiddos for a long day of learning is a priority (but even adults need to find their breakfast routine). What makes a for a gold-star breakfast? I believe it to be equal parts convenience, nutrition, and flavor. I’m not sure about you, but I’m not one to get less sleep to eat more breakfast… which means I tend to choose things that I can eat at my desk or on the way to a school. I may not get EVERY food group in at breakfast but I focus on pairing a protein + grain, and then have a fruit or veggie snack mid-morning. *Yes, weekdays! The weekends are for sleeping in and brunching on toast w/cheese, scrambled eggs, bacon & veggies. What’s your favorite breakfast? I challenge you to share your gold-star breakfast with me and of course share #SchoolBreakfast photos using #NSBW18 on social media. Let’s celebrate together!